A classic Italian presented in an open wooden box. I'Talja Bianco: Region: Veneto, Italy. Style: Crisp, light & refreshing. Varietal: Chardonnay/Pinot Grigio. Grower: San Giorgio. ABV: 12.0%. A fresh and crisp wine with an inviting nose, hints of apple and delicate floral notes. Medium bodied with a well balanced acidity and freshness. 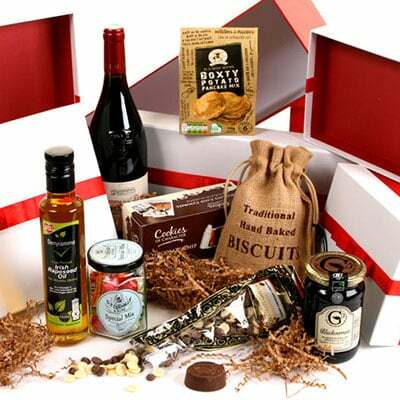 The hamper is presented in an open wooden box. The box is packed inside a separate shipping box for secure transport.